Here at Team Bear, we have a small but committed team of core athletes, who embody our ethos and act as ambassadors within their chosen disciplines. We have an eclectic mix of core athletes from different backgrounds, united by their belief that whilst it's great to suffer, we NEVER surrender. Our athletes show what it means to be Team Bear- they're single-minded in their drive to achieve their goals. They know that sweat is the most valuable currency when it comes to endurance sport. They read the description of an event that most people would dismiss as crazy, and say 'Great! Where do I sign up?'. And more than anything else, they enjoy supporting newcomers to their sports just as much as they enjoy racing themselves. They are as YOU are Team Bear. Suffer but NEVER surrender. I’m Sarah, 34 year old runner from Rugby in Warwickshire. I'm not the fastest runner by any stretch of the imagination but I have a very broad streak of bloodymindedness which helps me achieve my running goals. And a dodgy sense of humour which helps when I find myself in some of the more unusual running situations. I've been running for only 4 years but it feels like I've been running all my life and it's one of the things I use to define myself. Going outside in lycra? I'm a runner. Carrying toilet paper on long runs? I'm a runner. Peeing behind trees? I'm a runner. I run because I can. 7 years ago I was 5 stone overweight and a heavy smoker and thought salad on my doner kebab counted as sensible eating. Now? I run 35 miles a week and think that lycra is an acceptable clothes choice in public. I run any distance upwards of 5k and prefer ultras as the amount of snacks I can eat are in direct correlation to the number of miles I'm running. May also be slightly addicted to creme eggs. I'm Sarah, official Team Bear brownie supplier and baby triathlete and ultramarathoner of the team. After trying my hand at being a pure runner with some results I'm quite proud of, the support of the Team Bear co-founders has given me the confidence to make the leap to triathlon, and because life is all about getting out of your comfort zone, I've chucked a couple of ultramarathons in there too. To me, Team Bear represents the chance to push myself far past what I ever thought I was capable of, knowing that I have brilliant support behind me and a team of inspiring fellow athletes to look up to. When I'm not proudly donning my Team Bear colours, I can be found finishing off my training to become a doctor, which takes a similar reserve for endurance and resourceful attitude to snacking, and writing my blog. Up until receiving entry into Great Manchester Swim for my 30th Birthday, I was a couch potato. I smoked and drank – exercise was something that other people did. I didn’t even watch sport on the TV. I didn’t understand it. The swim was an instant love affair. Despite doing old lady breaststroke, having many panic attacks and taking forever to finish, I wanted to be better. I wanted to do more. I wanted to know what my body would do. 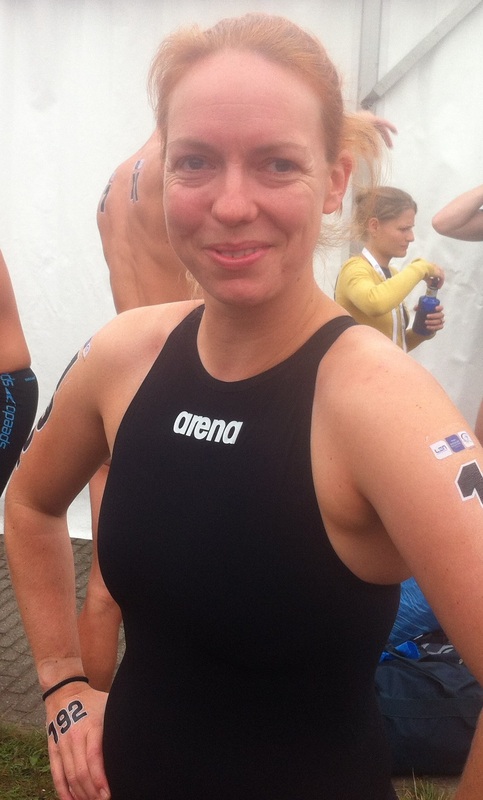 I set a goal of swimming at the European Masters Open Water before my 35th birthday. In September 2013, I competed at Eindhoven. While working towards that goal I learned a lot about myself. I have learned how much ice cream is acceptable in one day, how horrid (but rewarding) early morning training sessions are, how self-belief and a good support network are vital and how pain is generally temporary and invariably delicious. I am stupidly stubborn and if someone tells me I can’t do something, I will go all out to prove them wrong. 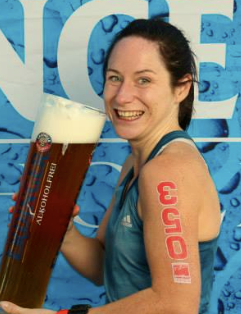 After becoming an accidental swimmer, I also became an accidental triathlete – again, given race entry into a sprint tri – again, I fell in love. Given that I know I’m not the fastest – I am definitely built for comfort not speed, it made sense to go longer. So in 2014 I completed my first 70.3. I’m going even longer next. 2015 will see me complete IM Japan as well as beating my 70.3 by a considerable margin. Alongside competing, I wanted to share my love of swimming – I undertook an ASA coaching course and starting helping others develop their swimming skills. I am about to embark on the next level qualification and continue to gain experience in coaching others. Until very recently, I have only been a runner. 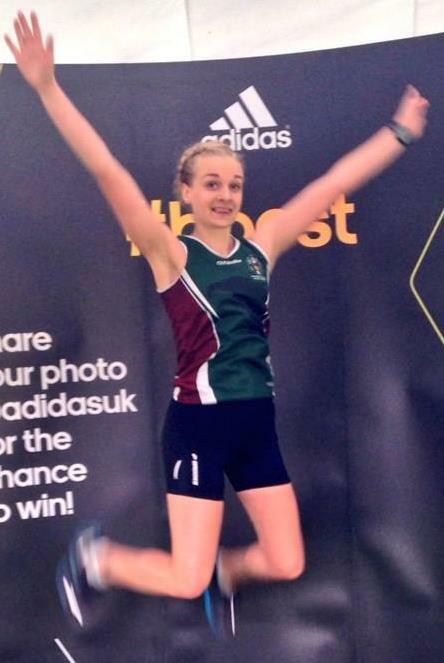 I am originally from Germany and picked up running to keep fit while at university. admittedly, now I would refer to myself at that time as someone who went for some jogs. Two years ago I moved to the UK to do my Master’s and got involved in the University’s running club. Since then I have started to train rather than going for the odd jog with some reasonable results since then. However as I keep getting injured if I run over 50 miles a week, I was doing a lot of cross training in form of swimming and pool running anyway, so when my former university running club coach suggested I try some triathlons, I thought I would give it a go. cycling was: ‘I will go out on the bike as long as I don’t have to compromise my running training’. Now, it is rather the opposite. Unexpectedly I madly fell in love with cycling! The hairier the better! Give me hills! Especially after 60 miles into a ride! 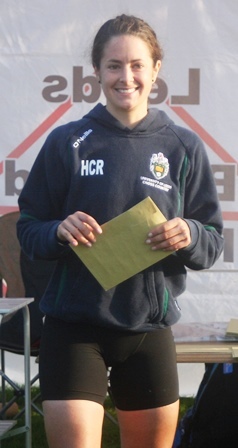 My first triathlon was Ilkley Triathlon... And since it was my first I was really nervous and did not expect a thing, nor did I put any pressure on myself, which was rather unusual for me thinking of running races.... In the end, the run felt like a jog once again, and somehow I managed to finish second Lady and win my age group. And controversially to running races, I enjoyed every minute of the race and pain, not just the finish! So, now one month after Ilkley triathlon, I finished third lady in another sprint triathlon and just completed my first Duathlon (4mi/23mi/4mi) in possibly the windiest and rainiest day I have ever experienced, again I finished on the podium as second Lady. Don’t ask me how I managed that. For winter I am hoping for a reasonably successful (better than last year) cross country season, some muddy/snowy) fun on the fells, some more leg speed and as well as some good base miles on the bike.... And for 2015.....bring on the triathlon season! 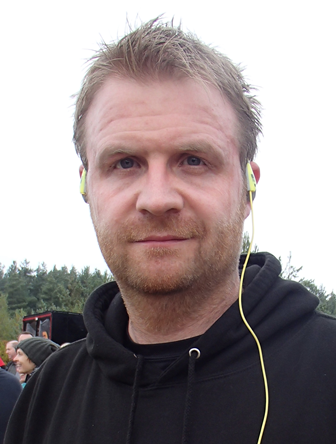 Hi, I’m Paul and one of the co-founders of TeamBearTri. For reasons that are not always understood, I find great joy in suffering and have been described as having a ‘passion for the pain’ that comes with training hard. I have an ability to push through the pain and have been noted as ‘shining my brightest’ when tackling really challenging climbs, when conditions become bleak and when others are suffering and struggling. My first love is cycling – to say that I don’t like running and swimming is a slight understatement – however, I like a challenge and find I am inspired by great events. I mainly compete at Iron Distance, with my most recent being Norseman 2014 where I achived the Black Finish. Despite my severe dislike of running, I have completed Marathon des Sables 2015.